The Environmental Protection Agency is urging the City of Chicago to clean up the Chicago River with the hope of meeting recreational standards, eventually even making it swimmable. The city’s relationship to the River has been evolving, as the many recent developments along it attest. 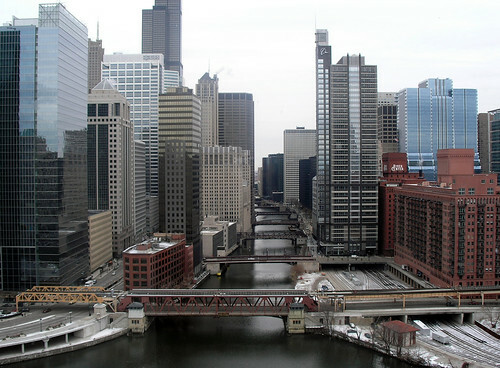 But the river still serves as the Chicago’s sewage pipe, so clean-up will be an lengthy and expensive project, as this report from the Chicago Tribune details. AN recently looked at soft infrastructure strategies, including some in Chicago, that aim to mitigate storm water run-off, one of the major reasons for sewage overflow into the River. Promoting green roofs, building permeable alleys, planting trees–all of which the Daley administration has advanced–can all reduce run-off, but hard expensive infrastructure upgrades, such as the Deep Tunnel, will likely be needed to keep sewage out of the Chicago River.